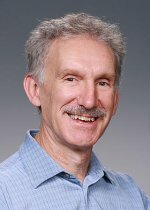 Three scientists at the Pacific Northwest National Laboratory, all experts in Earth systems analysis and modeling, have been named to the prestigious Thomson Reuters Highly Cited Researchers 2015 for Geosciences. Honored are Drs. Phil Rasch, Steven Ghan, and scientist Richard Easter. The list, released annually, is a worldwide compilation of scientists and social scientists whose study citations rank in the top 1 percent in 21 different fields. The compilation of names, over 3,000 this year, is one measure of the world's most impactful and influential scientific minds. The 2015 rankings are derived from InCites, a Thomson Reuters analytical tool that combs through a database of indexed published papers from 2003 to 2013. Rasch is PNNL's Chief Scientist for Climate Science and was named to the 2014 Highly Cited Researchers list. 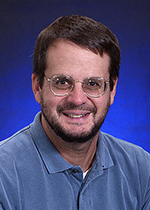 He has done research in general circulation, atmospheric chemistry, and global climate modeling, but has a special interest in the impact of aerosols and clouds on climate; their interactive processes; and the related computational details needed for computer models. He is a member of the Department of Energy's Accelerated Climate Modeling for Energy (ACME) project council and co-lead in developing an atmospheric model for the project. Ghan, an atmospheric and climate scientist, has made seminal contributions to the representation of cloud-aerosol interactions in climate models. He also has pioneered work on how the atmosphere and topography interact to influence climate change in regions with complex terrain. Ghan is on the ACME leadership team and is subtask coordinator of small-scale elevation variations in global models. Easter specializes in modeling tropospheric aerosols and trace gases and their interactions with clouds and precipitation. 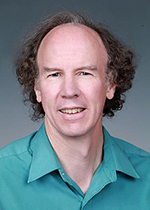 He has had a central role in PNNL's global aerosol, chemistry, and climate modeling, and in modeling studies of aerosols and cloud-aerosol interactions at local and regional scales. View a full list of the most-cited researchers of 2015 and view the list's method and purpose.